LGBT community activists in Serbia will hold today the parade in downtown Belgrade under enhanced security measures. 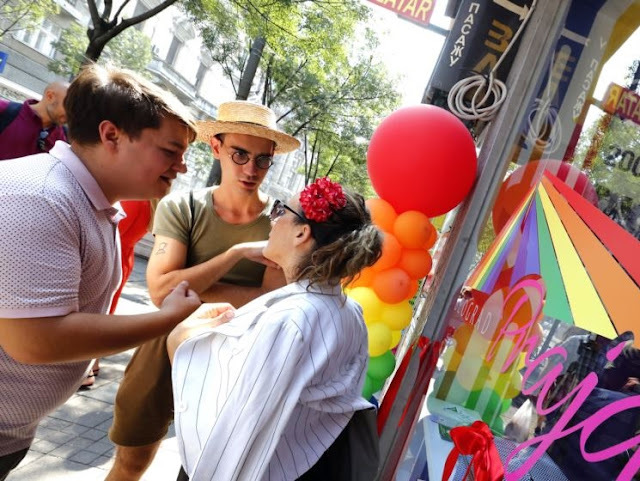 The parade of pride will be the last event of the Weekly Pride Week activities in Belgrade, featuring films, exhibitions, conferences and debates. The organizers of the event under the slogan "Say Yes" displayed a list of requests from this community, including: regulation of official documents on transgenders, education reforms in texts with discriminatory content and protection against hate crimes. About 100 people attended a similar parade in June, which ended without any major incident. Activists emphasize that the prejudices against the LGBTI community are a major problem in Serbia.